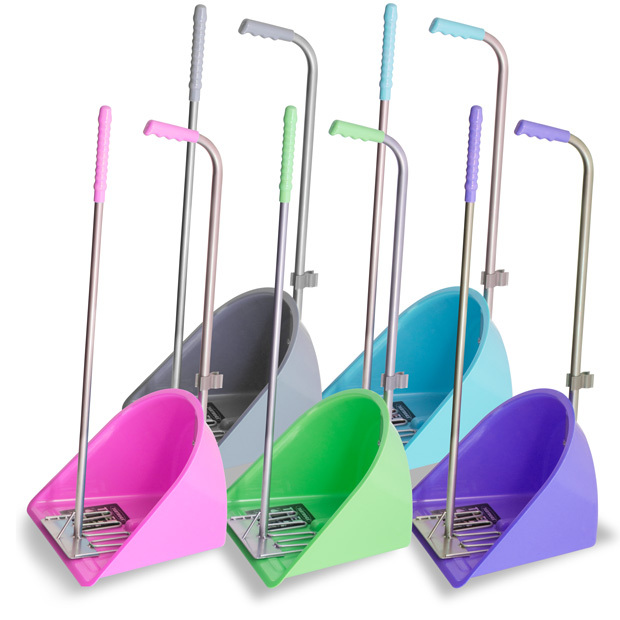 The Tubtrug Tidee Manure Scoop & Rake allows you to easily collect and lift debris from the floor into a wheelie bin or onto a compost heap without the need to bend down and get your hands dirty. It works wonders in many situations, whether it is collecting up sodden leaves, animal mess or compost for planting, the Tubtrug Tidee will make garden work much easier. Without the rake it can be used as a dustpan too. Excellent for use around the garden, allotment, yard and stables. Easy to clean and lightweight. Below are some recent questions we've received regarding Tubtrug Tidee Manure Scoop & Rake, including answers from our team. Size of it please i have several dogs. Thankingyou kindly. The Tubtrug Tidee Manure Scoop & Rake is 80cm.